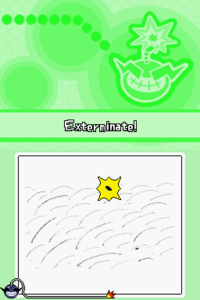 Nitpicking is a microgame found in WarioWare: Touched! in the Super Zero stage. The objective is to tap the fleas and exterminate them. 1st level difficulty: The player must squish one flea. 2nd level difficulty: The player must squish two fleas. 3rd level difficulty: The player must squish four fleas. This page was last edited on February 17, 2018, at 15:26.